Pam Blackburn was once a dancer. Tap, to be specific. And she did a lot of theatre too. But now she has bad knees. Pam works very hard to take care of her family — her son and her sister and their many dogs. Pam works in something to do with computers, but that’s odd because computers seem to dislike her. Like, seriously, the paypal thingy won’t work when she’s around. Pam has served as ELNA secretary for many years, but is now totally over it. Someone else do it! Please! Pam also was instrumental in the long and arduous process of getting the zoning of the northern portion of our neighborhood updated. She went to A LOT of meetings and did A LOT of research. 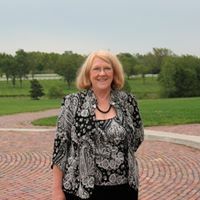 Pam also dedicates many of her summer Sunday nights to cashiering for ELNA at kickball concessions fundraisers, cashiers at the Yart Sale and the Block Party every year too. Pam will always take your money for ELNA, but she is done taking notes.